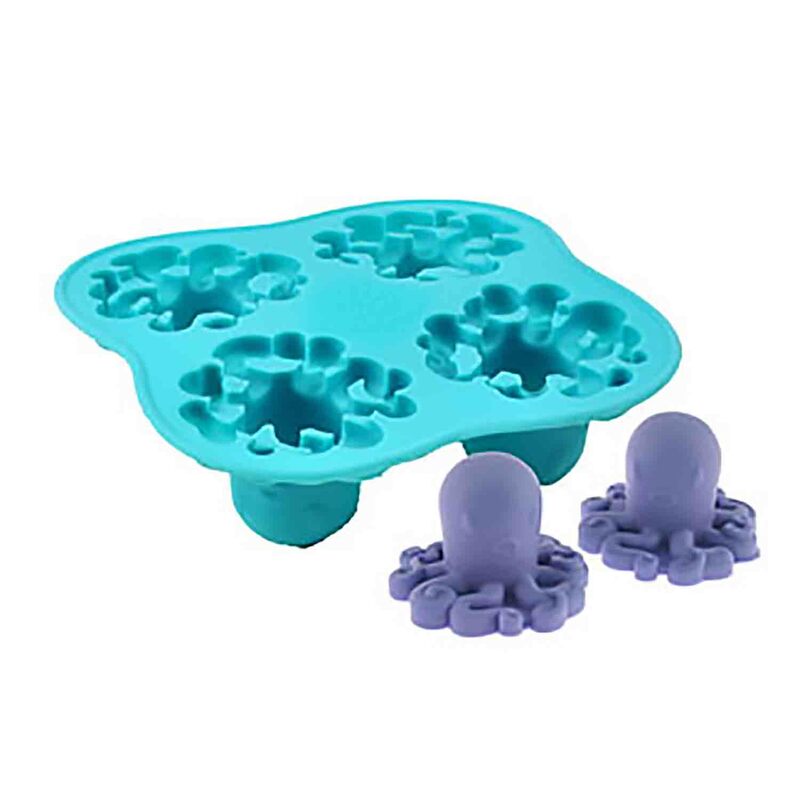 Brand: Fred and Friends FF-MARI Units: 1 This product is made of pure, food-grade silicone rubber that can withstand temperatures of -22F to 446F. The matte finish makes gripping easy and distributes heat and cold evenly. Versatile and durable, silicone is a great all-around performer. Mold has 4 octopus cavities measuring 2" in diameter and 1 1/4" deep. Note: Extra time and/or patience may be required when using this product with chocolate. This product is made of pure, food-grade silicone rubber that can withstand temperatures of -22F to 446F. The matte finish makes gripping easy and distributes heat and cold evenly. Versatile and durable, silicone is a great all-around performer. Mold has 4 octopus cavities measuring 2" in diameter and 1 1/4" deep.